How can Trixie be a real witch’s cat if she’s not pitch-black all over? How can she be spooky with one white paw? 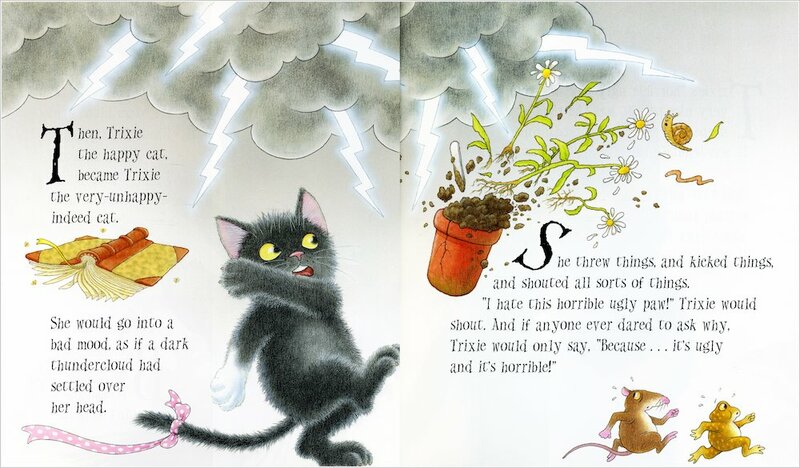 Poor Trixie the cat would do anything to be a proper coal-black colour. Instead, she’s stuck with a silly white paw! 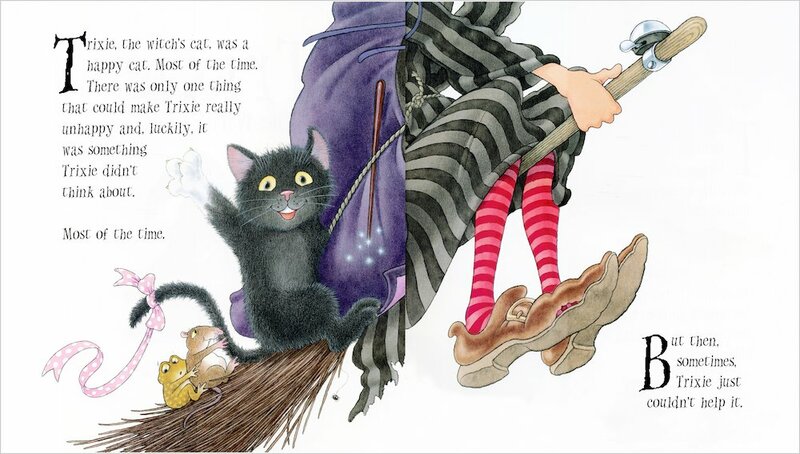 Even worse, her spells and hocus-pocus to magic it away usually have all kinds of hilarious results! 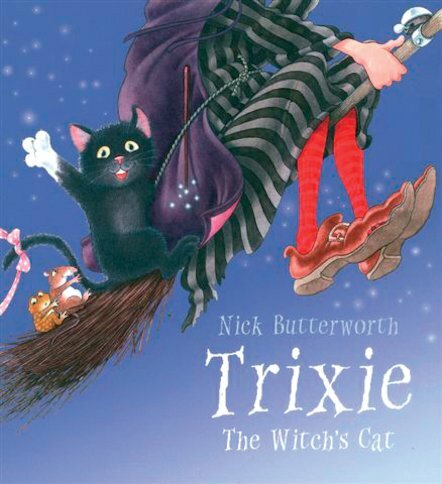 But it’s good to stand out from the crowd, and soon Trixie sees that life’s much nicer when you’re happy being who you are… From best-loved author and illustrator Nick Butterworth comes a heartwarming tale of witching, wishing and being happy with yourself.